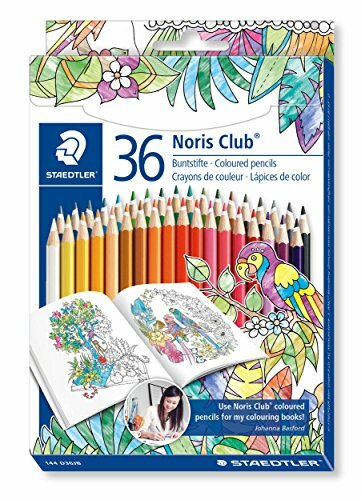 These brilliant pencils are designed for colouring in and will brighten up your drawings and illustrations. Wood from certified, sustainable managed forests. The box includes 36 vibrant assorted colour the packaging comes designed in a Johanna Basford - Magic Jungle theme.